Let's cut to the chase. Who will win Saturday night's middleweight world title rematch between Gennady Golovkin and Canelo Alvarez? Our experts make their picks. Jake Donovan- Golovkin TKO 11. From the moment their first fight ended, I believed that Father Time would be on Alvarez's heading into the rematch. With all that has taken place, I no longer envision a scenario where Canelo can improve on his previous performance. Golovkin overcomes initial awkward moments to wear down Alvarez and force a late stoppage. I think we get the same type of fight as last time except Golovkin gets off to a quicker start. I still think there will be a lot of close rounds, but Golovkin edges more of them. 115-113. At the end of the first fight, I thought Canelo would get the best of Golovkin with a unanimous decision in an eventual rematch. However, I no longer believe that is the case after all that has happened. Golovkin is motivated to hurt Alvarez. Canelo also has something to prove, will he be able to back up all of his pre-fight smack? I don't think so. Golovkin will get off to a quicker start. 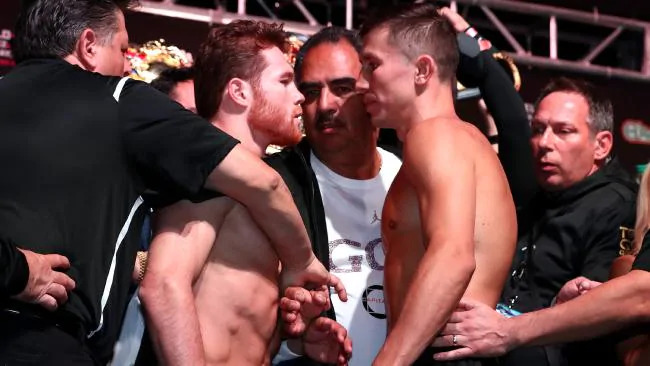 Canelo's best shot is to outbox Golovkin at the center of the ring, but I don't think he will be able to stay there all night, although he is the Triple-G is older and a little slower, but he still packs a punch behind his authoritative jab and left hook. Furthermore, I don't think Golovkin will be as tentative, and will target Canelo's body. Golovkin 115-113. Alvarez has a history of injuries to his right hand. If this pops up again during this fight, it could be used as a pushing point for a trilogy matchup down the road.